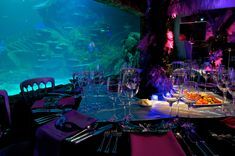 Madame Tussauds London is an award winning, themed venue which has been hosting parties for over fifty years. With the ability to host party-style events for up to 1,000 guests, it is also one of central London’s largest event spaces! Madame Tussauds is a large venue in central London, with a standing capacity of 1,000! James Burns of Jedi News recently held a large party for 750 at Madame Tussauds, incorporating Movies at Madame Tussauds for a Star Wars themed event. We spoke with James about his experience organising the party. What were your aims for the event? Burns had attended the grand opening party of the Star Wars exhibit at Madame Tussauds London in 2015 and kept the venue in mind for the party he was organising the following July, so he enquired with Merlin Events about capacity and availability shortly after. How did Merlin Events help you deliver the event? Was there any challenges and how did you overcome them? One challenge was the size of the Star Wars exhibit, and its obvious popularity with the expected ticket holders. To assist with the guests experience it was decided to have three time ticketed arrivals of 8pm, 8:15pm and 8:30pm to prevent overcrowding in the exhibit. After visiting Star Wars guests would enter the very large Party space and continue through to the World Stage Ballroom, the perfect location for the main entertainment and formal proceedings to take place – with large inbuilt stage, large screens for sponsored content, customisable lighting and a professional technician to run it all. 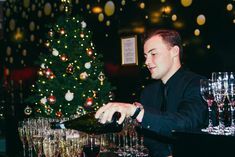 Guests would receive a beverage on arrival, with several pop up bars and food stations set up around the room to cater for the large numbers. Both levels of the attraction remained open with the top floor set up as a ‘chill out’ zone with lounge DJ, additional seating, more bars and food stations. “Getting 750 people from ExCeL (where Star Wars Celebration was being held) to Madame Tussauds using public or private transport worked well, although the London traffic caused issues for some. The event started on the Spirit of London ride, before guests made their way to the Marvel 4D ride, then Star Wars and finally the World Stage and the rest of the museum. Seeing as everyone in attendance were Star Wars fans they spent more time in the Star Wars exhibit delaying proceedings by 30mins, but Tussauds were able to work with us on the fluid situation. The food went down well; after all we did use the same caterers as the Episode VIII wrap party just a couple of weeks earlier thanks to a recommendation by Merlin Events. What was the outcome of the event? Madame Tussauds is available for private hire for groups of between 25 and 1000 guests. Contact the Merlin Events team today to discuss your event plans. May the force be with you – why do we love Stars Wars so much?